Run reports on your support sessions to see where you stand. RescueAssist lets you dig into the details of your support activity. From the average duration to the session type to the customer’s name, you can easily see whether you’re measuring up to your service-level agreements. 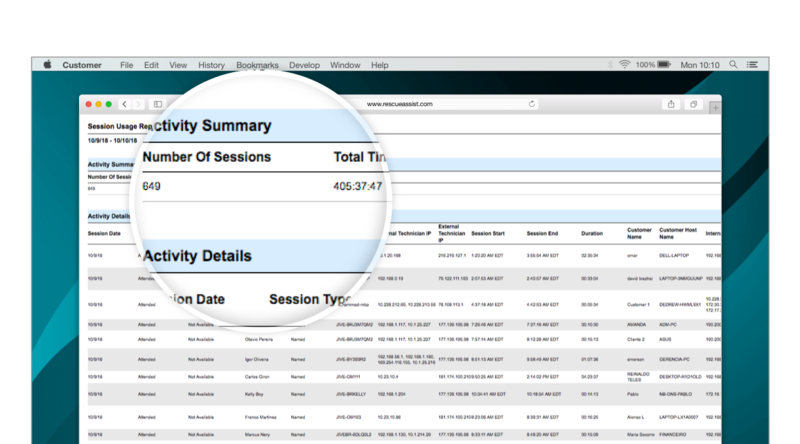 For a full list of everything the RescueAssist session reports include, visit our Run Session Reports support page. You can run two types of reports in RescueAssist. 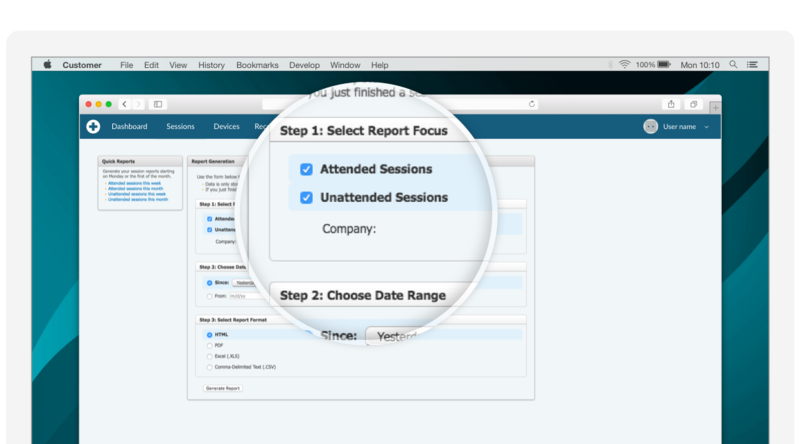 Quick Reports are pre-configured so that you can quickly generate numbers on the last week or month of activity in a single click. Meanwhile, Custom Reports let you call the shots. You can filter by session type, company, technician and date range so you get exactly what you’re looking for. By keeping track of your support sessions, you’ll always know how you’re doing and where you can improve. If you notice that your average session length is trending up, you can take steps to bring it back down. If you see the total number of sessions dropping, you can adjust accordingly. Good reporting ensures your customers get consistent, quality support. When you pull a report in RescueAssist, you don’t just get numbers. Any notes that a technician wrote while in a session are kept and provided alongside the data. So if you’re looking quickly for specifics, reading through the notes will clarify what each session was for — and why it may have been longer or shorter than usual.